The first time I used salt dough was when we made gift tag ornaments a few Eids ago. You can check it out here. This time I’m going to save the little mosques my girls are making using the cutest mosque cookie cutters and use them in the upcoming holiday. I’ll add the cookie cutters for you below and some other cute ones I found. 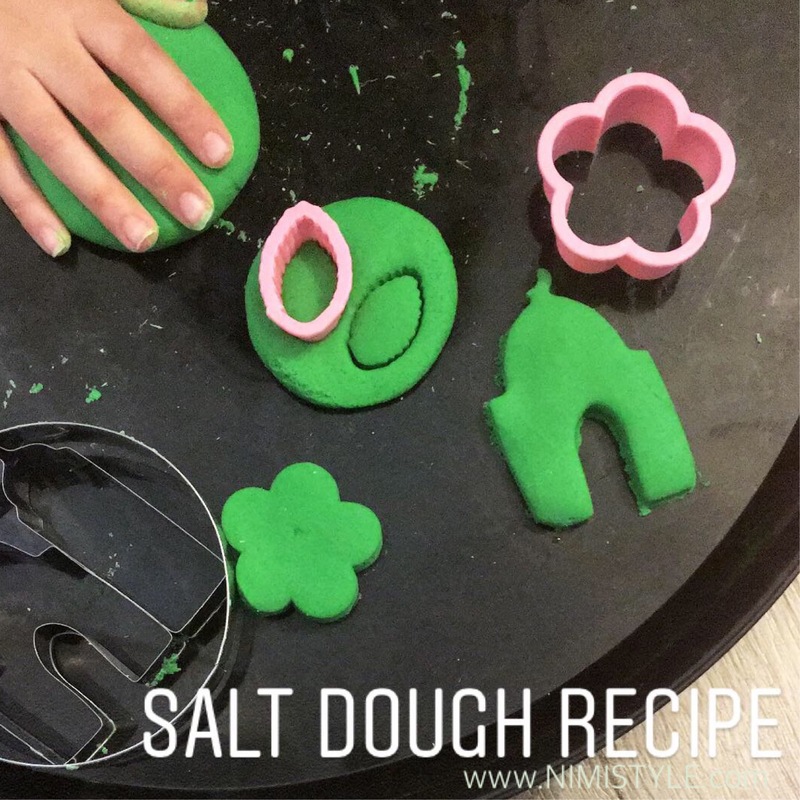 (1) Mix the flour, salt, and water and let the kids have some messy fun making shapes. (2) Air dry the creations!